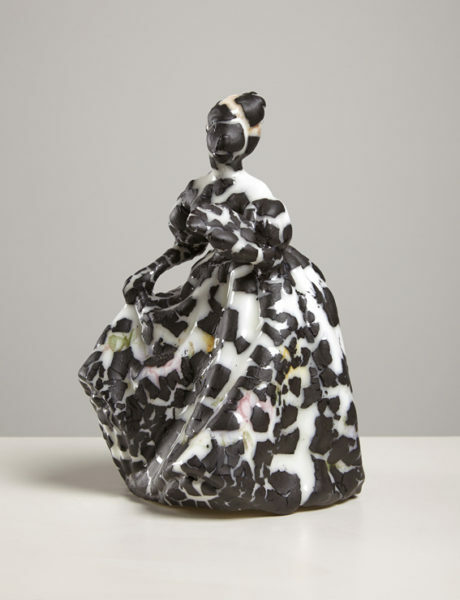 Royal Doulton Figurine 'Marilyn' No HN 3002 Ref 1067/1, found ceramic, glaze, 19 x 13 x 14.5cm, 2016. Image courtesy the artist, © the artist. 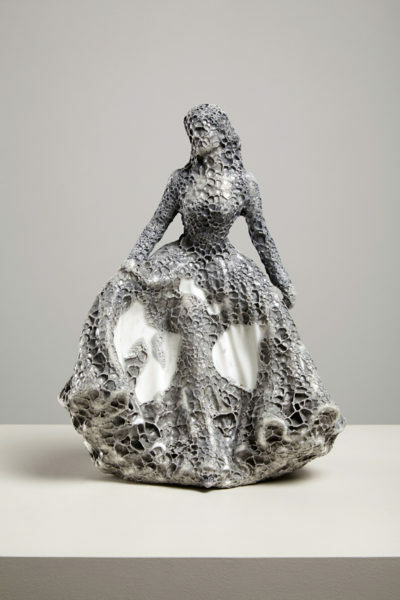 Royal Doulton Classics Georgina - Lady of the Year 2002, found ceramic, glaze 23 x 17.5 x 15cm, 2016. Image courtesy the artist, © the artist. 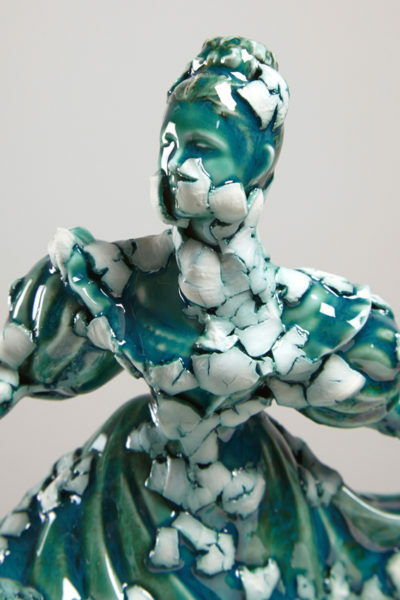 Royal Doulton Figurine Happy Anniversary HN4606 – MIB, found ceramic, glaze, 22.5 x 17 x 12cm, 2016. Image courtesy the artist, © the artist. Vase (Vase colonne de Paris), Charles Nicolas Dodin (French, 1734-1803), 1779, soft-paste porcelain, 40 cm (15.7 in), porcelain, 38.5 x 22 x 19cm, 2016. Image courtesy the artist, © the artist. 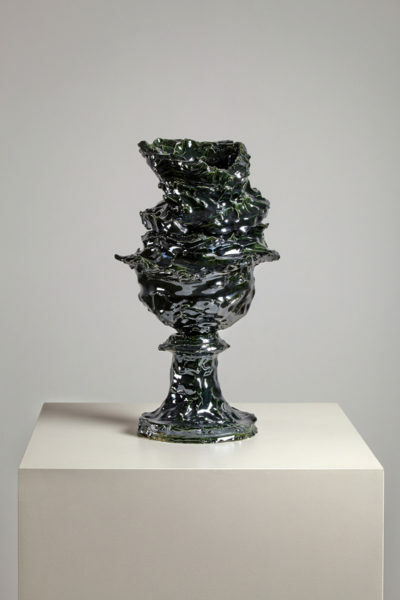 Untitled Vase, porcelain, 28 x 13 x 14cm, 2016. Image courtesy the artist, © the artist. Two vases with Iranian brass mounts. C. 1635-44. 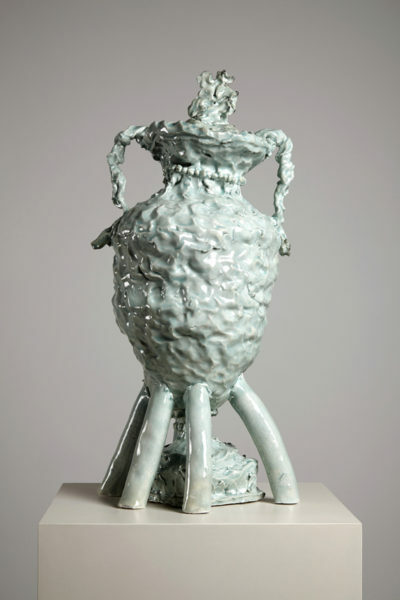 H: 47.7cm; 38.5cm, porcelain, 34 x 13 x 12.5cm, 2016. Image courtesy the artist, © the artist. Things from the V&A, porcelain, 2016. Installation view, dimensions variable. Image courtesy the artist, © the artist. Pair of Vases (vase ‘Carrache’), soft-paste porcelain, Sèvres, 1768-9. 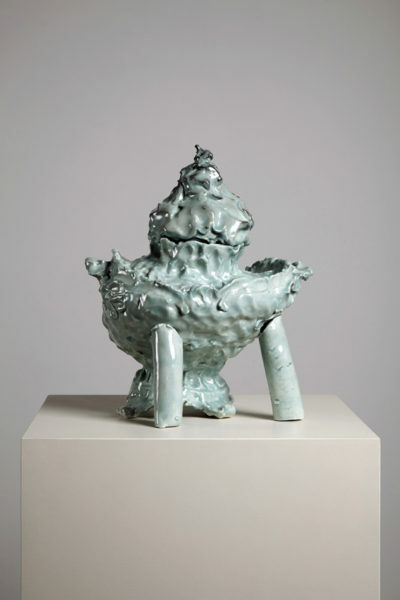 Height 41.3cm, porcelain, celadon glaze, 55.5 x 23.5 x 19.5cm; 56 x 23.5 x 19.5cm, 2016. Image courtesy the artist, © the artist. Pompadour pink Pot-pourri gondole and rose colored porcelain vases painted with Cupids by Boucher Sèvres, 1758, porcelain, celadon glaze, 31.5 x 26 x 20.5cm, 2016. Image courtesy the artist, © the artist. Vase from a five-piece garniture. Porcelain, painted in underglaze blue, enamels and gilt. Japan, Arita kilns, about 1700-1725. 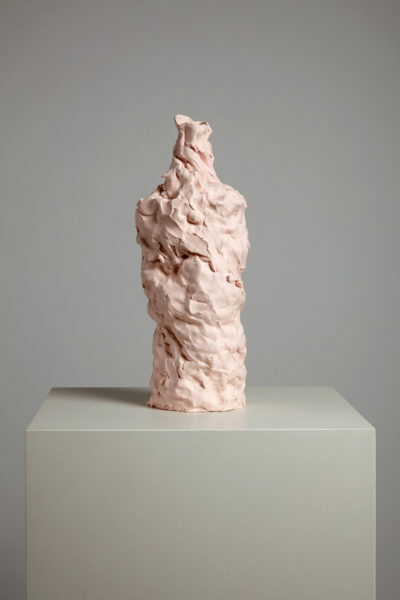 Height 76.2cm, ceramic, copper saturation glaze, 33 x 17.5 x 17.5cm, 2016. Image courtesy the artist, © the artist. Jasperware vase and cover with Pegasus finial and with reliefs of Apollo and the Muses, made at the factory of Josiah Wedgwood, Etruria, Staffordshire, ca. 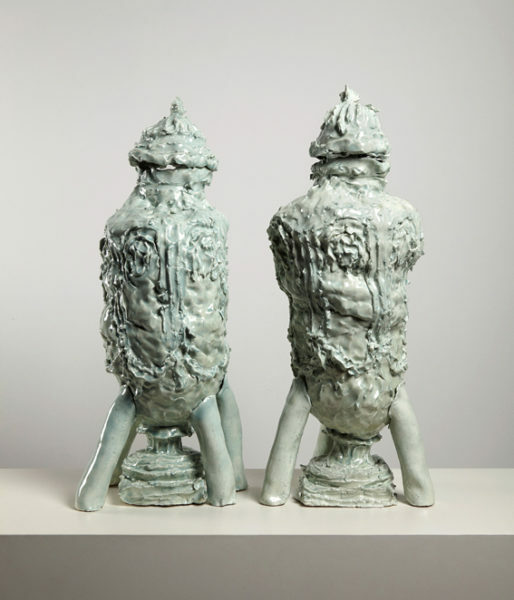 1790, porcelain, celadon glaze, 54 x 26.5 x 25cm, 2016. Image courtesy the artist, © the artist. 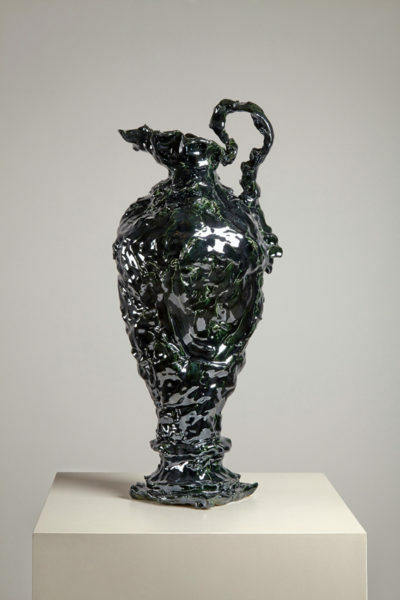 Ewer-shaped vase after a Chelsea-Derby model, c. 1780-85, H: 28.5cm, ceramic, copper saturation glaze, 49 x 20.5 x 19.5cm, 2016. Image courtesy the artist, © the artist. Working with a wide variety of materials from porcelain and marble to paint and digital collage, Harrison’s interest lies in how we handle, interpret and navigate materials, objects and space and how these processes define the shape of the body. The things she makes propose a re-imagining of these definitions, offering an alternative shape to our perception of things, often utilizing the simplicity of materials to explore the complexity of the sensory body. Harrison’s practice explores a mechanics of perception, with a particular interest in a fallibility of observation, the gap between the seen and the felt, the visual and the tactile. To negotiate this space, her research looks to the interaction between the maker and the viewer and the overlaps that can occur between these roles. This participatory notion of sculptural practice allows an exploration of the body beyond a binary tradition of inside and outside, a structure that arguably still dominates the subject of the body. Drawing on the active body involved in making/viewing sculpture, her work seeks to unravel processes of imaginative touch and proprioceptive sensation in the way we experience the materials and space around us. 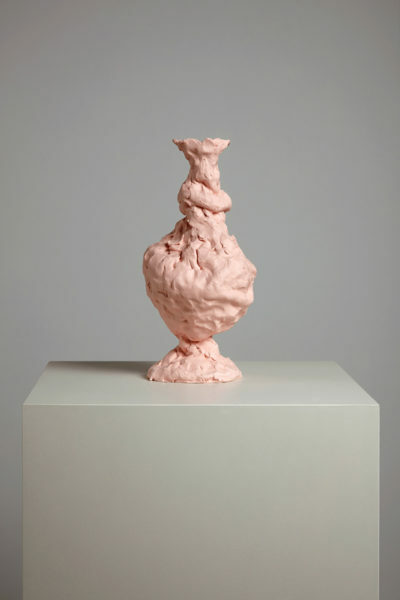 Considering sculptural practice and perception as much a process of feeling as seeing, her work explores how a tactile perception of sculpture can be encouraged, addressing an incorporation of the viewer’s body into the process of making. 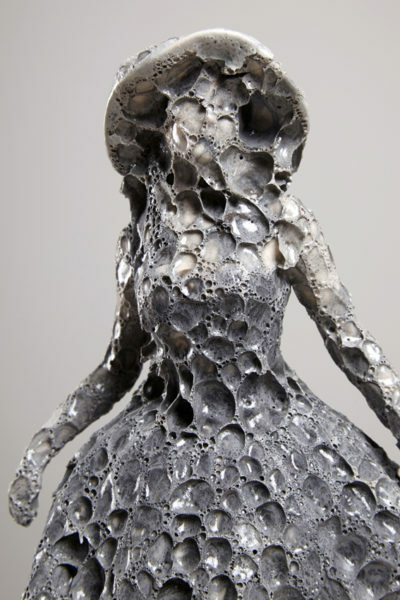 Unthreading the body from its traditional figurative background, she is interested in the kinetic aspects of our imagination, the maker’s ability to choreograph a viewer and the presence of the viewer within the maker’s imagination. Born in St Bees in 1982, Jessica lives and works in Edinburgh. She studied sculpture at Edinburgh College of Art, before completing a practice-led PhD in sculpture in 2013, funded by the Arts and Humanities Research Council. She exhibits regularly in both group and solo shows nationally and internationally. 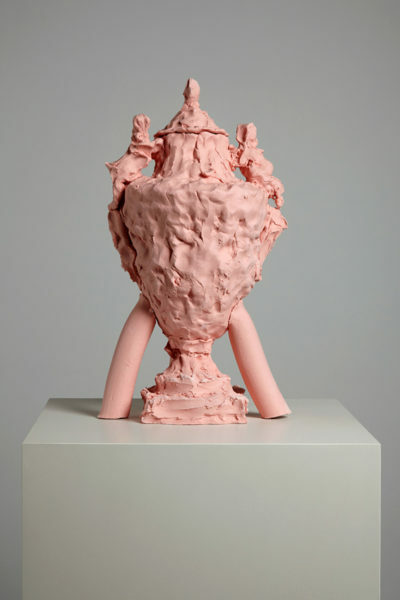 Recent exhibitions include Pink, Green, Blue and Black (Galerie LJ, Paris, 2016), Dismaland (The Tropicana, Weston-Super-Mare, 2015), CERAMIX (Bonnefanten Museum, Maasticht, 2015 / La Maison Rouge, Paris, 2016) and Broken (Jupiter Artland, Edinburgh, 2014). Jessica’s work is held in numerous private and public collections including Edinburgh University Art Collection (Edinburgh), Pallant House Gallery (Chichester) and The New Art Gallery Walsall (Walsall). 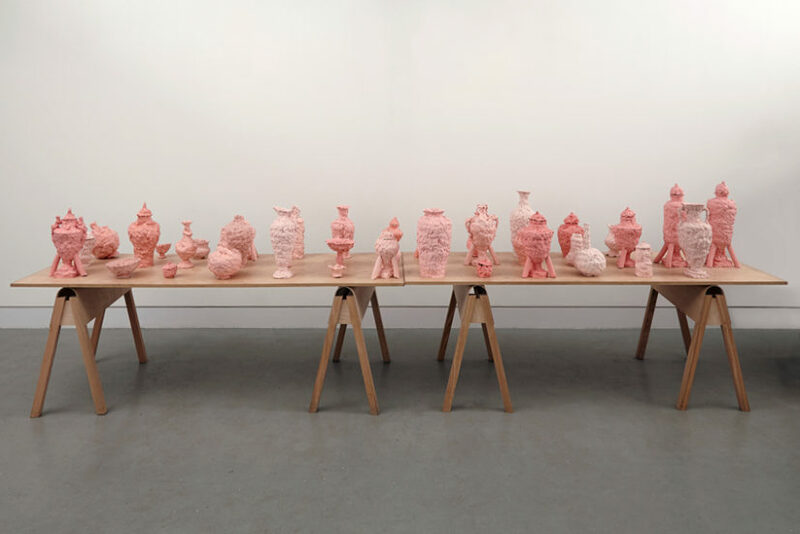 In 2015 Jessica received funding from Creative Scotland to create a new body of work at the European Ceramic Workcentre in the Netherlands.